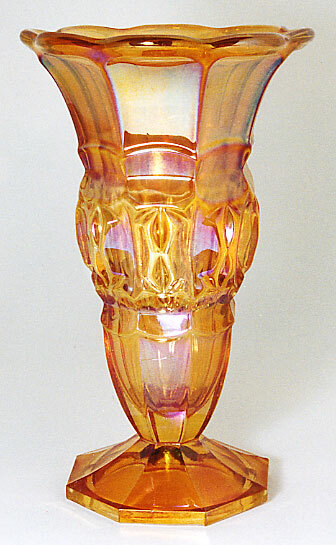 Made by the Czechoslovakian glass maker, Josef Inwald, this interesting marigold vase is 7 3/4 inches tall. I have no records of any selling at auction in the past 20 years--at least by this name. Photo courtesy of Gale Eichhorst.